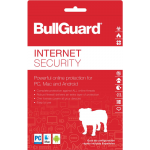 Very Cheap Software is proud to offer Bullguard Internet Security (1 Year / 3 PC) [Download] at a very affordable price. We only select the best software available for download. We focus mainly on very cheap antivirus software to help you protect your important information and privacy from criminals. Check with us every year for very big savings. Managing your security couldn't be any easier. The all-new design of Internet Security makes it child's play. Each feature has its own module panel. You simply click for the desired action and it happens automatically, whether it's a quick scan, backing up files or PC tune-up. All the modules are on one page so you can see at-a-glance your PCs security status. And if you want to do a little deeper management, with one click you are taken through to the relevant area. Our Antivirus includes Behavioural Detection, which spots new viruses because of the actions they take on your computer and stops them before they can do damage. Together with Signature-based Detection, which identifies the 'signatures' of known malware, you gain a multi-layered defence system for your PC that's virtually impenetrable. Top detection rates of viruses and malware have been proven by independent labs. BullGuard Spamfilter keeps out junk mail and email scams, like phishing attempts, virus spreading and foreign language spam. You can also customize filters to block emails you don't want to receive. Some websites have malicious code hidden in them. Or they are used to launch phishing attacks. 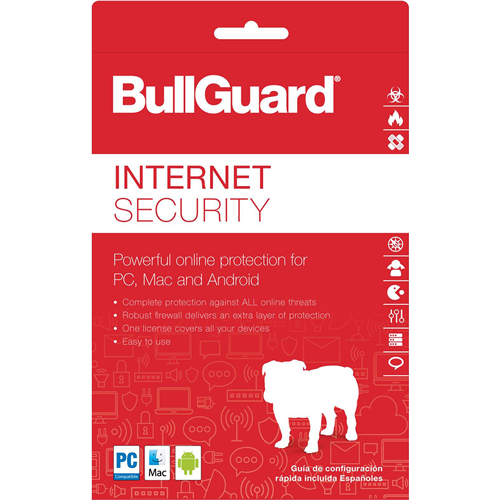 The BullGuard protection software checks the websites that come up in your searches and lets you know which ones are safe and cautions you about those that can't be trusted. PC Tune Up. Keep your PC fast and clean. You'll never have to wait again to get your computer up and running. BullGuard's PC Tune Up removes unnecessary files to improve your computer's performance and frees up memory so your computer runs faster. Most security software reduce gaming performance and require a special "Game Mode" to be activated while you're playing. BullGuard solves this performance problem intelligently, letting you enjoy gaming at full throttle but still ensuring unparalleled security on all levels.